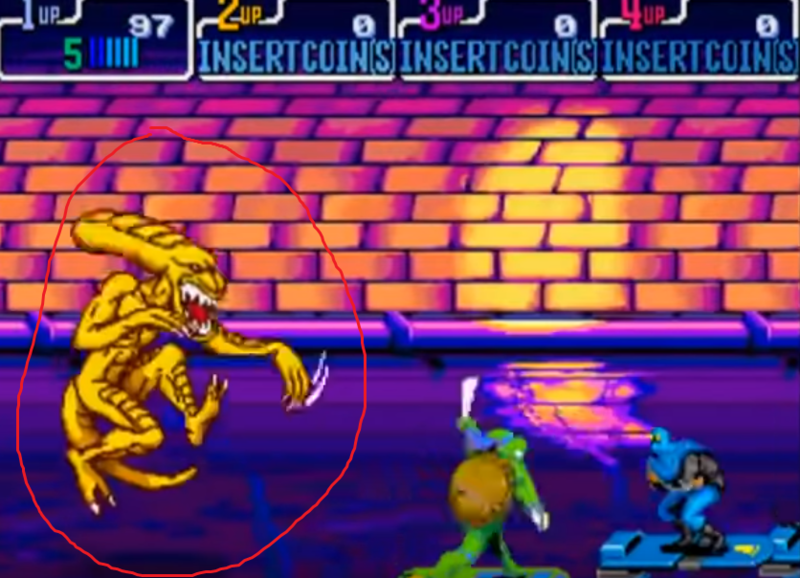 On YouTube in a video showing off the arcade game Turtles in Time, one of the enemies was a monster similar in appearance to the Xenomorphs from the Alien films. Has such a character ever appeared in any of the comics or TV shows? 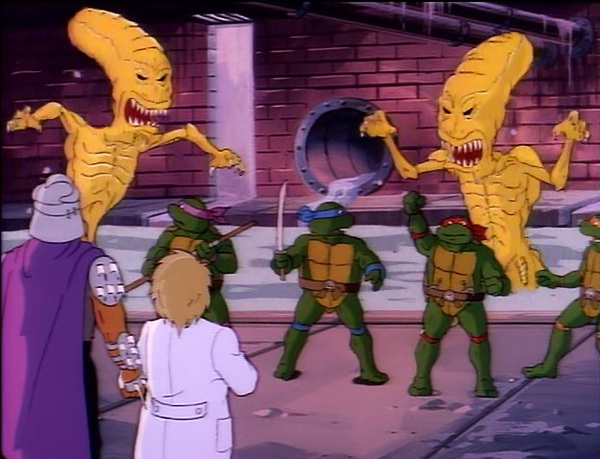 Another cool thing to note is that Toy Manufacturer NECA made a yellow Sewer Mutation Warrior Alien as a reference to this. Not the answer you're looking for? Browse other questions tagged character-identification teenage-mutant-ninja-turtles or ask your own question. What was the hairy humanoid monster from Big Trouble in Little China? Is this pale sloppy guy from a movie? I have a statue on a fountain near the town hall in Ponyville. Who am I? What book does this creature come from? Whose hand is this in Day of the Doctor? What was the name of the magical robot from Dr. Strange? Is there any other footage (or pictures) of Henry Victor as the Saxon Warrior in 'The Mummy'?